Nora is the CEO of The Book Club Network Incorporated. Nora and her husband run The Book Club Network www.bookfun.org She runs two book clubs near Atlanta, Ga., Former ACFW On-Line Book Club. 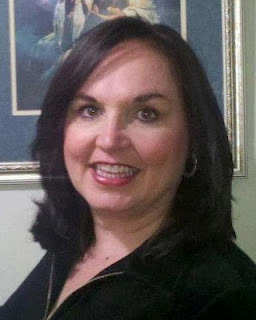 Nora currently writes a Book Club column for the Christian Fiction OnLine Magazine and is a Book Club Talk Columnist for Novel Rocket. 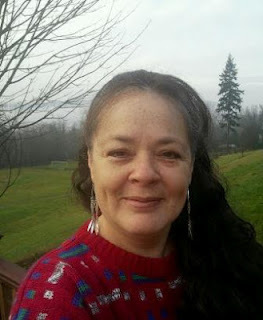 You can read author interviews on her Finding Hope Through Fiction blog, located at http://www.psalm516.blogspot.com, and reviews around the web at The Christian Pulse Mag, Title Trakk, Novel Reviews, and Suspense Zone. Nora, what inspired you start TBCN? It’s a place to find where a book club is located. We have a member map where you can find a book club near you. Message them and see if they are accepting new members. I envision it to be similar to be similar to the Weight Watchers program (don’t laugh!) you can go to a meeting anywhere in the country, right? All you have to do is look on line and get connected. This is my hope for the future of TBCN. Have there been any surprises for you at TBCN, Nora? What benefits have you seen by bringing readers and authors together? The authors have done a great job coming up with questions for reader to answer that give them a peek into their book – create interest and then the discussion helps book club leaders connect with the author. 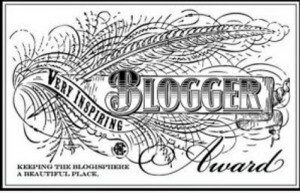 I’ve been pleasantly surprised at the amount of authors that want to be featured atThe Book Club Network. It’s been a great thing. My hope is that book club leaders and/or members participate in the discussions and make that book connection with the author and their book. I want TBCN to be a tool for them in picking out their books. Maybe invite the author to speak to their book club on the phone. It’s my hope. The discussion will be there forever. No worries about a books shelf live here atTBCN. So, everyone has time to get to know each other!! It’s a beautiful thing! It's been great talking up close and personal about TCBN, Nora. Thanks for coming by. 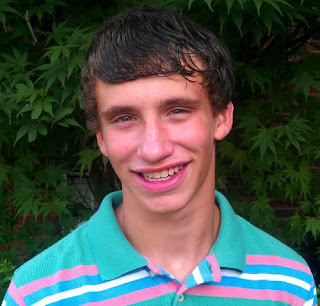 Fourteen-year-old Cameron Presson of Thompson Station, TN, claimed first prize in the 2012 New Christian Books Summer Writing Contest. He entered a modern Jonah story entitled “In the Belly of a Jail” about a 16-year-old arrested for driving while intoxicated, who surrendered his life to Christ after being incarcerated. “I think all the entries are beautifully creative work. All these writers should be encouraged to keep writing,” remarked one of the judges, Katherine Harms. She is author of Oceans of Love, a book with 30 days of meditations on God’s love built on texts relating to oceans and water. 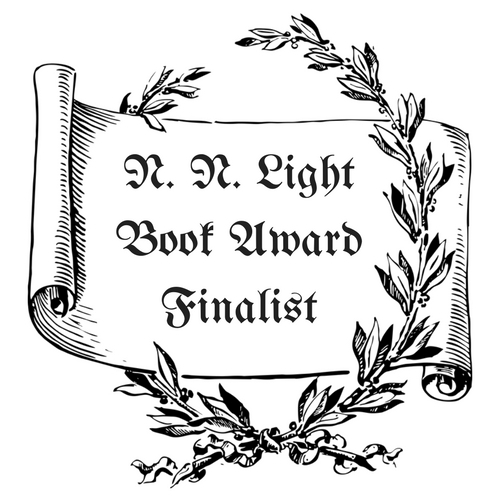 Second place went to 11-year-old Victoria Rifa of Yakima, Washington, for her wail tale, Double Trouble, involving squabbling twins who turned to God after an earthquake. Third place went to 14-year-old Maisie Lay of Marshall, IL, for her story, “To Learn Responsibility,” about a girl who was sent to military school for a day after leaving her baby brother alone. Receiving Honorable Mention Awards were Nathan and Daniel Bae, of Irvine, CA, and Stephen Gordon, Tampa, FL. New Christian Books, an online magazine serving the Christian reading and writing communities, sought modern Jonah stories from 10 to 14 year olds for its summer contest held in conjunction with the John 3:16 Marketing Network. The network is a group of Christian authors who have bonded to share the gospel of Jesus Christ. Rogers has penned a number of ebooks, including the short story collection Just Like Jonah Wail Tales that inspired the contest. The ebook involves characters who land in a whale of trouble for making the wrong choices, but who seek God and are restored. The judging was done by a panel of Christian authors including Harms and Acacia Beumer, author of Launch Out Into the Deep; Lisa Lickel, author of First Children of Farmington to be released later this year; Diane Tatum, author Gold Earrings; Cheryl Rogers and her son David Rogers, a 13-year-old Williams Middle School student in Tampa, FL, as junior judge. The contest was sponsored by Samantha Ryan Chandler, author of A Love Story: How God Pursued Me and Found Me, An Impossibly True Story; Linda Yezak, author of Give the Lady a Ride; Jairus King, author of Men's Ministry Handbook for Christians; Mike Lynch, author of After the Cross; Tom Blubaugh, author of Night of the Cossack; and Sana Edoja, author of Knowing God. The winners received cash and other prizes, including books by Christian authors Acacia Beumer, Laura Davis, Lorilyn Roberts, the founder of the John 3:16 Marketing Network; and Cheryl Rogers. The three-day festival features dozens of opportunities for book lovers of all ages to meet favorite authors and illustrators and attend readings, demonstrations, writing and poetry workshops, art-making sessions with illustrators, book signings and more. Jacqueline Houtman, author of The Reinvention of Edison Thomas, a Read On Wisconsin! pick and a book which one reviewer said “deserves a place on every elementary and middle school shelf” (Library Media Connection.) The Theater for Young Audiences in Sheboygan presented the world premiere of the stage version of The Reinvention of Edison Thomas in October, 2011. Ms. Houtman lives in Madison, Wisconsin. 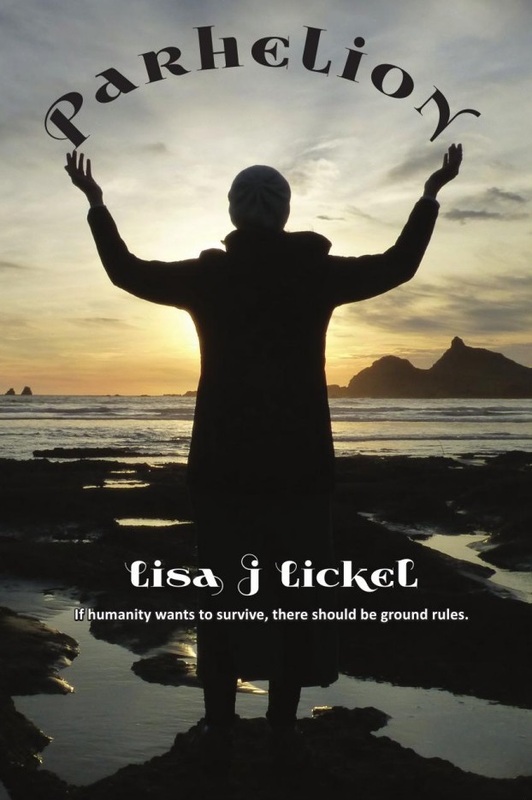 Ilsa J. Bick is a former child psychiatrist and the author of popular and award-winning novels for young adults (Draw the Dark, Ashes, Drowning Instinct) whose books have been praised for their pacing, action, and suspense and who “writes about dysfunction with a professional’s insight” (Booklist.) Ms. Bick lives in Kohler, Wisconsin. 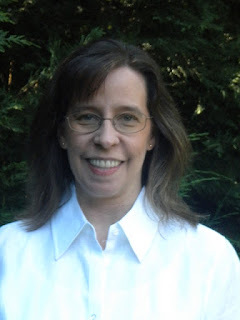 Lisa Albert has written biographies of Stephanie Meyer and Lois Lowry for the Authors Teens Love series and she is the author of the novel Mercy Lily, called “affecting and thought-provoking” by Voice of Youth Advocates (VOYA.) Ms. Albert lives in Muskego, Wisconsin. Rebecca and Madelyn Spindler are the mother/daughter writing team and co-authors of the middle-grade book series, Tale of Two Sisters (Sarah Jane Is a Pain, Life According to Liz) featuring eleven-year-old Liz McCormick, a tomboy growing up on her family’s farm in the rolling hills of Wisconsin. Madelyn Spindler was eleven years old when she began writing the first book in the series with her mother, Rebecca. The Spindlers live in Madison, Wisconsin. Kennedy will bring a special screening of his 90-Second Newbery Film Festival to this year’s Sheboygan Children’s Book Festival and children and teens can enter their own 90 Second-Newbery videos for a chance to see their video screened at the festival. The theme for this year’s children’s book festival is Family, giving festival goers the opportunity to hear authors and illustrators speak about how family has played a role in their works. Authors and illustrators will sign books after their presentations and festival bookseller and sponsor Apple Blossom Books (Oshkosh) will donate a portion of book sale proceeds to support the Sheboygan Children’s Book Festival, helping keep the festival free to all. The Sheboygan Children’s Book Festival is presented by community volunteers and these local organizations who believe in the transformative power of reading and the literary and visual arts: the Mead Public Library, the Eastern Shores Library System, the Sheboygan Area and Kohler school districts, the Kohler Public Library, the John Michael Kohler Arts Center, the University of Wisconsin-Sheboygan, and Bookworm Gardens. The Sheboygan Children’s Book Festival is Wisconsin’s only free, public children’s book festival. Funding support comes from the Kohler Foundation, Inc., the F.K. Bemis Family Foundation, the Garton Family Foundation, the Mead Public Library Foundation, The Friends of Mead Public Library, the Sheboygan Service Club Foundation and other donors. In-kind support is provided by Dynamic Inc. and the Family Resource Center of Sheboygan County. 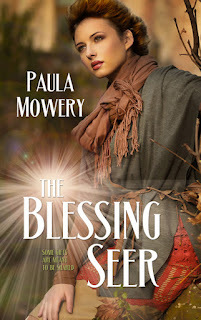 My friend, Paula Mowery, just released her debut novella--READ ALL ABOUT IT! Paula Mowery is a pastor’s wife and a homeschool mom. She has always been an avid reader of Christian fiction. She began writing in the area of nonfiction creating three Bible studies which were self-published. However, she crafted fiction stories which she shared with friends and family. When one of her readers encouraged her to pursue publication, she joined American Christian Fiction Writers, learning more about the world of fiction. 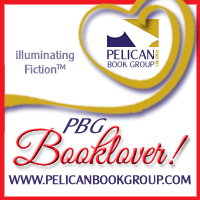 Her debut work of fiction is a novella published by Harbourlight, a division of Pelican Book Group – THE BLESSING SEER. When God sends Addy a special messenger who challenges her to step from her comfort zone, she isn’t sure she’s up to the job. She feels inadequate to take on the task of encouraging others, and when she starts seeing visions, she worries she’s losing her mind. Yet, Addy wants only to be used by God, even if that means seeing visions and risking relationship with family and friends. By stepping out on a limb, can Addy really accomplish something significant for God? 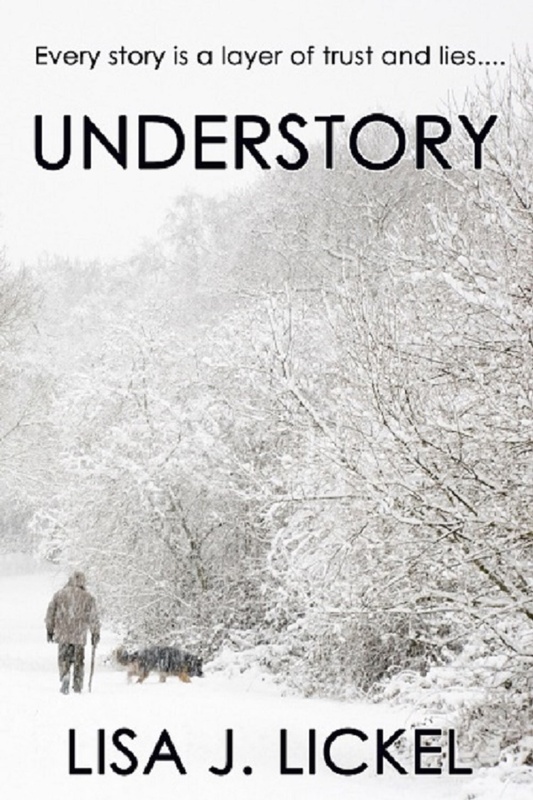 What affect will her surrender to His will have on those around her? And, what affect will it have on her own life? 1. Paula, what’s been a favorite work experience you’ve had so far in life? Recently, I've enjoyed working with my editor at Harbourlight. She has taught me so much without trying to change my voice. She made editing enjoyable - that's a big deal. 2. If you could do anything you want, what would it be? I would love the opportunity to write and speak full time spurring other Christian women in their walks with God. Writing and speaking/teaching is my passion. 3. What’s the most exotic place you’ve traveled? As of June 16th, I have added Haiti to the places I have been. About 10 years ago I went on a mission trip to Africa where I had the opportunity to see the Indian Ocean - beautiful. On this recent trip to Haiti, I was once again seeing the ocean out one window and a mountain out the other. That view of Haiti seemed exotic until I went to the villages where the people live - what an eye-opener. We are so blessed. 4. That sounds fascinating! We just had some speakers in our church who were there. I love to get a feel for where you live. What do you see outside the closest window right now, Paula? The closest window looks out onto my screened-in patio which looks into the backyard lined with trees. I have wicker pillow-padded rockers where my daughter and I love to sit and read. I usually start out with pastor's wife and homeschool mom. I am learning to say that I'm a writer and deal with the "really?" and surprised expressions. 6. That is a funny thing, isn't it? Where’s your favorite place to grocery shop? I'm a one-stop kind of girl - I shop at Walmart where I can get everything including prescriptions and get out. 7. What, to you, is worship? Worship is an attitude that I can engage in all of the time if I will. I can worship listening and singing along to my favorite contemporary Christian singers. I worship while interpreting my husband's sermons for our deaf members. I worship while reading a Christian-inspired book. I worship when God leads my hand to write a story. Thank you, Paula, and best wishes with your work. 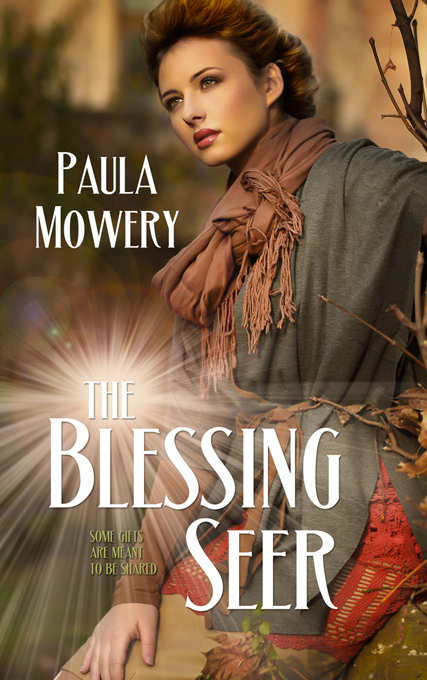 THE BLESSING SEER is available through the publisher at www.pelicanbookgroup.com as well as other ebook distributors like Amazon. With freedom as its central theme, DawnSinger is the perfect companion for the 4th of July holiday. Why not treat yourself or someone you love to a reading adventure? “Janalyn Voigt builds an exciting world, tranquil on the surface but filled with danger, ancient enemies, and a prophecy yet to be fulfilled. DawnSinger leads you into a land only imagined in dreams. I can’t wait to read the second book in the Tales of Faeraven trilogy.” Lisa Grace, best-selling author of the Angel in the Shadows series. ~ A signed, personalized book plate (sticker to place inside the book)--one for each book you purchase! Janalyn explains how she discovered books. It happened over time. My father instilled a love of literature in me at an early age when he read chapters from "The Wizard of Oz," "Robinson Crusoe" and other classics as bedtime stories. When I grew older, and he stopped reading bedtime stories, I put myself to sleep with tales I "wrote" in my head. As a precocious reader, I soon graduated to the novels in my parent's bookcase. I'm sure those books contributed to my growth as a writer. Eventually, I scribbled my own stories on paper. A teacher noticed my ability to tell a story when I was twelve. As a result of his encouragement, I identified my desire to write novels. 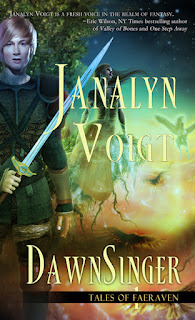 DawnSinger is my debut novel and the first offering in Tales of Faeraven. I've already begun work on WayFarer, the next book in my epic fantasy series. 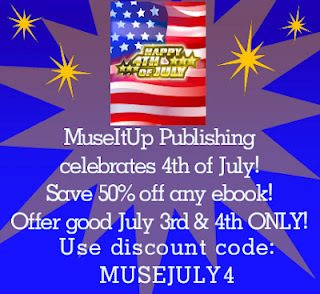 Step 1: Buy DawnSinger on July 3rd on Amazon; then proceed to Step 2 below with your Order # to claim your FREE GIFTS. Note: If Amazon indicates a low supply or “out of stock” status, ORDER TUESDAY ANYWAY so that you can receive the bonus gifts. 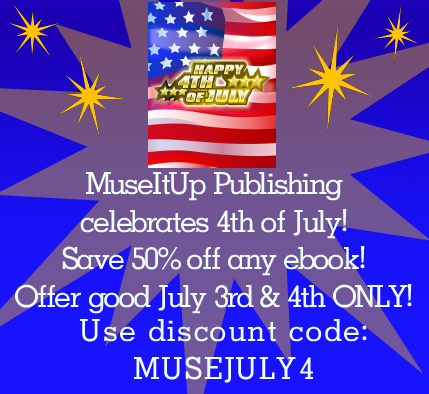 Their supply will restock immediately and you should not have a long wait for your book(s). ENTER THE DAWNSINGER LAUNCH CELEBRATION DRAWINGS! DRAWING 1: ONE winner will receive a $20 STARBUCKS CARD and a signed print copy of WayFarer, BOOK TWO of Tales of Faeraven, available upon its release. DRAWING 2: TWO winners will receive a signed print copy of WayFarer, book two of Tales of Faeraven, available upon its release. DRAWING 3: THREE winners will receive a free kindle copy of WayFarer, book two of Tales of Faeraven, available upon its release. Post to Facebook about these great drawings! 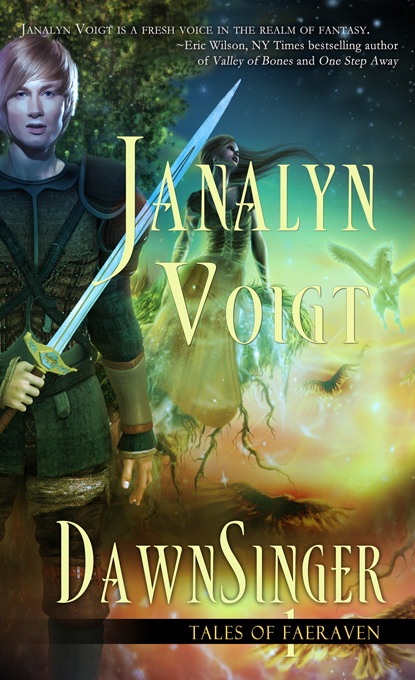 Today only, author Janalyn Voigt, is launching her debut novel, DawnSinger, book one in the epic fantasy series, Tales of Faeraven. She's giving away gifts and offering some amazing prizes, including a $20 Starbucks card, in three different drawings!! Tweet about this amazing offer!